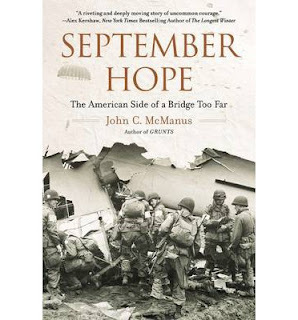 September Hope is an excellent book by author John C. McManus that chronicles the American side of the WWII campaign against Nazi Germany known as Operation Market Garden, the Allies attempt to cut through the Netherlands and to Berlin to "end the war before Christmas". It is a compelling and well researched account that covers the operation from it's inception to it's agonizing conclusion. Join Dave Kleinschmidt, Jeff Hallett, Mike Lembke and our special guest Jim McDermott as they discuss and pontificate about this interesting book.